I finally finished reading Eowyn Ivey's The Snow Child! And, boy, am I glad to have found this book in the library. I've been wanting to read this for aaaaaages. I felt it wasn't the right season to read this book but - oh well - maybe I'm just weird like that. I picked it up anyway because I knew I was going to like it. I have read the summary before and have been eyeing it at Waterstones for quite some time. This book is about a couple, Jack and Mabel, who live in a cabin in Alaska. They haven't been blessed with a child (they had one but the baby died at birth) and although they've kept themselves busy over the years, it was something that kept creeping back in their minds. One night at winter, during a snowfall, they decided to have a little bit of fun and build a snowman. Or a snowgirl in fact. They dressed her with a red scarf and some mittens. The next day, the snowgirl was gone. A little while later, sprinting across the snow was a blonde-haired little girl wearing a red scarf with a string of mittens around her neck. I really love this book. I think it's best to read it by the fireplace during the winter months. It has got that chilling yet fresh vibe about it and I like how it kept me cool while it was nearing around 25 degrees here in Edinburgh. I never thought a book could regulate your personal temperature controls - but there you go. I love Ms. Ivey's writing style. It's very poetic and beautiful but not overly dramatic. When conversing with Faina, the snow child, their exchanges aren't written with any quotation marks - which I thought was quite unique - so it felt as if they were just speaking through their minds. That probably wasn't the case at all but I like how that made me feel as if all other noise was muted so you can only hear their words. I love the descriptions of the homestead, the snow, the mountains, the food. Alaska seems like a faraway place in a faraway time - much different to what we are used to today. For one thing, they 'process' their food themselves - as in plucking out a bird's feathers before they can prep it for dinner. I like the snippets on hunting and finding your next catch. 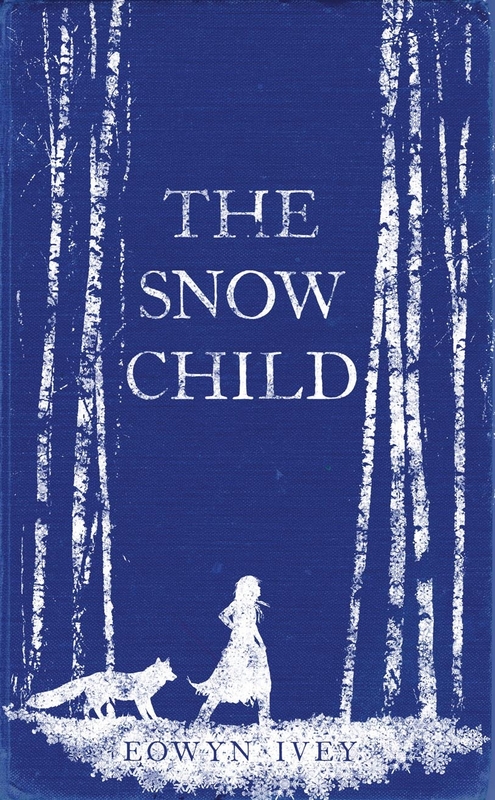 If you enjoy a little bit of magic without going overboard, I think you would enjoy reading The Snow Child. Fans of Cecelia Ahern would definitely find this book appealing. I wish to be the mother you are to me, she said softly so Mabel doubted her own ears. But those were the words she spoke, and Mabel took them into her heart and held them there forever.